Cardiff is a thriving place. Big new developments are announced almost monthly. Recent ones include the new BBC Cymru Wales building near the station, the electrification of the Valleys railway lines and the massive Embankment complex. But while the Council pours resources into stimulating and supporting commercial growth, it leaves some of its basic public services to rot. On Saturday 7 February, National Libraries Day, hundreds of people plan to converge on the Central Library in Cardiff for a ‘read in’, to protest against the Council’s intention to cease funding seven of the city’s libraries and further degrade the Central Library. The branch libraries could close or be handed over to ‘the community’. They include some that are used by hundreds of people a week, like Whitchurch, a building I visited a couple of weeks ago (it was closed: Cardiff assumes people don’t read on Wednesdays). Cathays Library, one of the finest Carnegie library buildings in Britain, is to be handed over, to anyone, ‘community’ or private, who will take it, as a ‘café library’, presumably a standard Starbucks with a couple of bookshelves. Only five years ago the building received a capital CyMAL grant of £1m from the Welsh Government to restore its interior. The Central Library, opened only in its new premises in 2009, is now closed on two days a week and has already lost its top floor (so that its local and Welsh collections are inaccessible). It is likely to lose yet more space, as unrelated Council functions are moved in. Many books have already been removed, and experienced staff face redundancy, as ‘community volunteers’ are sought to take their place. What will the people of Cardiff miss, if their Council – astonishingly, a Labour-controlled Council – has its way? Not just access to books. They will lose many of the few indoor publicly owned places left in the city, where anyone can go, to read, study, meet in groups, or just dream. They will lose free internet access, essential to those who lack it at home, and access to online information, services and advice. No trained and experienced staff will be there to help them. Their children will be deprived of the books, magazines and other resources that develop their reading and their imaginations. The memory of the city, as recorded in its local studies collections, will be forgotten. Communities are taking control of library facilities. In some places these are community-run social enterprises or cooperatives, in others we have the examples of town and community councils running such services, able to raise additional resources to do so. Someone should tell him that there is no known instance of a ‘community’-managed library in the UK being able to sustain the kind of service offered by a professionally administered service. Volunteers can do many valuable things, but the truth is that most libraries handed over to them soon decline and fail, from a poverty of resources and a lack of expertise to provide what people need and want. I suspect the leaders of Cardiff Council are similarly challenged. And almost certainly they’re unaware of the distinguished library history of their city. 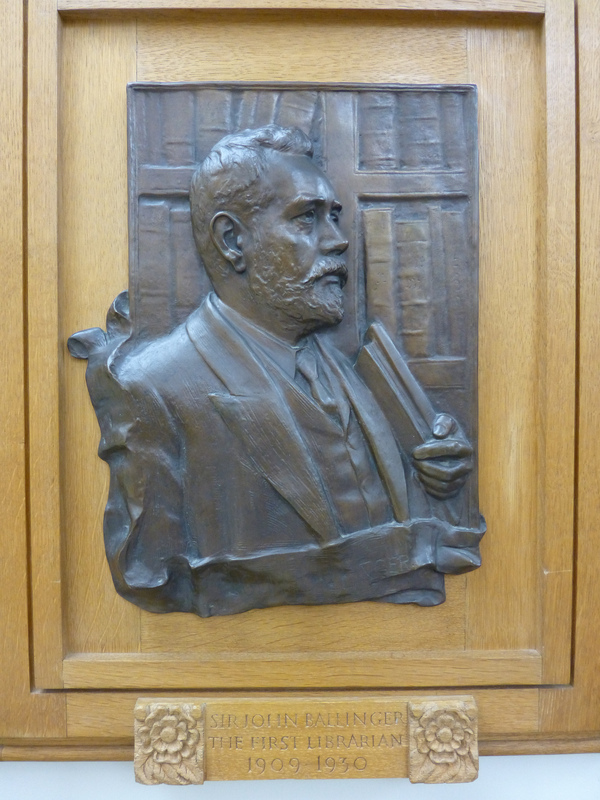 Someone should tell them that the pattern of library provision that exists today, though weakened, owes its existence to the heroic work of one the UK’s public library pioneers, John Ballinger. Ballinger arrived in Cardiff as its Librarian in 1884. He was just 24 years old. The Council had decided in 1863 that it would provide a library for all its citizens, under the ‘penny in the pound’ provision of the 1850 Public Libraries Act. Cardiff was the first town in Wales to do so. In 1882 the ‘Old Library’ in The Hayes was opened to the public. 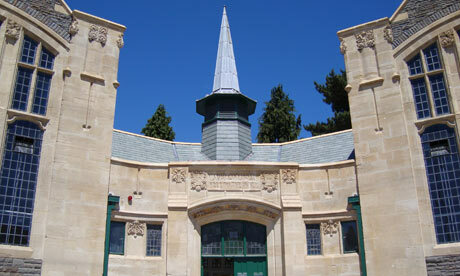 Ballinger hugely extended the library and its services. Under his direction the collection grew enormously, to 100,000 volumes, and the number of number of books borrowed increased from 7,000 to 750,000. He staged exhibitions, made extensive provision for children, especially through establishing school libraries, set up branch libraries, including the wonderful Cathays building, and was especially interested in new technologies. He developed a wide reputation for his progressive practice, published extensively and was a leading member of the Library Association. … he sought to bring the library and its treasures to the very doors of the people; to make the institutions under his charge a vital and indispensable part of city life; and to bring all classes of the community into close and intimate relations with it. It would be hard to express better the proper role of anyone in charge of a public library today. In the 100 years since, despite several relocations of its central library, and the downgrading of the service within the local authority, the service has survived. 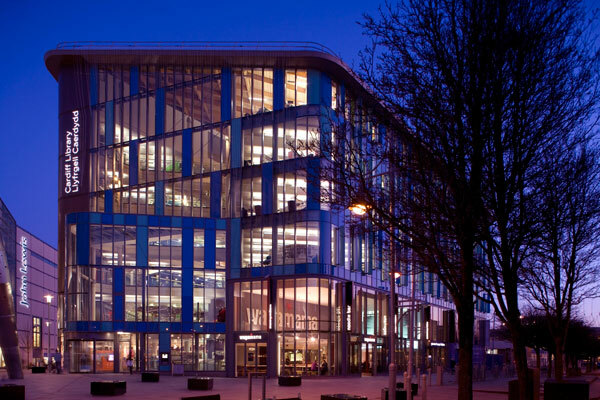 The present central library building was opened in June 2009 by the Manic Street Preachers and an inscription, taken from the lyrics of one of their songs, was written on a plaque to commemorate the event: ‘Libraries gave us power’. That phrase encapsulates what libraries are, or should be, about: giving power to everyone – to discover and learn, to spark imagination and fulfill ambition, to challenge the power of others. This is the power that the current political leaders of Cardiff now wish to withhold from the people they were elected to serve. If they’re allowed to have their way Cardiff, far from ranking alongside the library services of cities like Birmingham, Manchester and Liverpool – all of which have re-committed to their libraries in the last two years – will have a library service to be ashamed of. More important, its residents will have been robbed of a huge and loved resource. All local councils face painful dilemmas in responding to the ‘austerity’ visited on them by the Westminster government. It’s also true that all public services need to adapt and change to suit the times. But what Cardiff Council is planning to do to its library services is impossible to defend under either justification. And in the process it may be in danger of breaking the law. Many people seem to be unaware that the provision of a ‘comprehensive and efficient’ library service is a statutory requirement on local authorities. If Cardiff libraries cease to be comprehensive and efficient, how long will it take, I wonder, for the responsible Welsh Government Deputy Minister, Ken Skates AM, to insist on the law being obeyed? Diolch! Thank you for putting this so well. Everything you say is true, and one could also add that the proposals skew what little will remain of Cardiff’s library service towards the south of the city, which will also mean that the service cannot be “comprehensive”. The proposals regarding Cathays Library, so recently refurbished at taxpayers’ expense, amount to asset-stripping and my personal feeling is that the Assembly should demand its money back. Unfortunately the current craze for co-location of services has put libraries in a very vulnerable position: a few bookshelves in a building whose primary function is something else, with a librarian visiting occasionally, and with the word “library” nowhere to be seen, is not most people’s idea of what a library service should be. As it’s a model which seems to please the Minister, however, the answer to your last question is probably “not any time soon”. Ti’n iawn Gwallter – mae o’n hynod o drist ond yn rhywbeth sydd yn digwydd yn fwy fwy trwy Gymru wrth i’r toriadau ariannol gwaethygu. I’m horrified by these proposals. 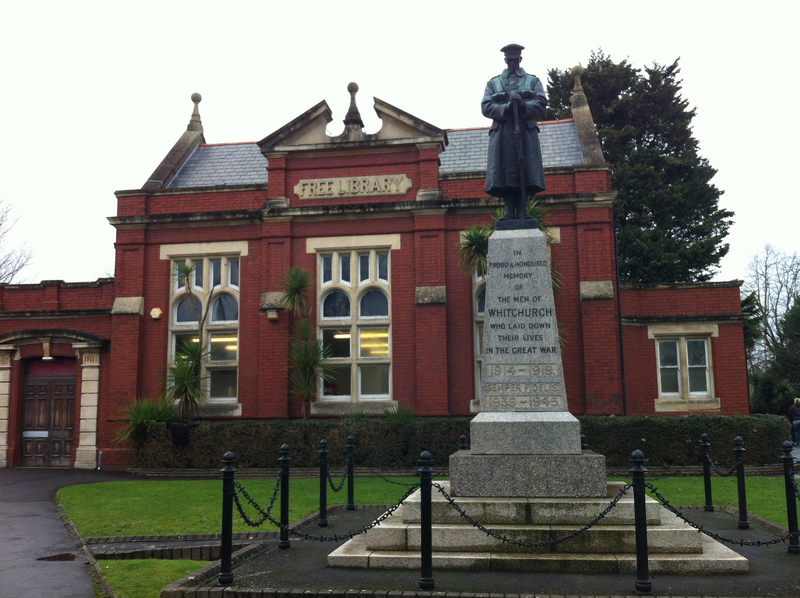 My local library in Caldicot, Monmouthshire, is suffering cuts but these decisions by Cardiff Council defy belief. Do the Councillors not realise that Cardiff, the capital city of Wales, will be diminished culturally and educationally by the wholesale downgrading of the many services provided by its libraries? What does it say about Wales and its capital city – that we are Philistines? As for re-naming libraries ‘hubs’ Monmouthshire Council wants to incorporate libraries and one-stop-shops into Community Hubs. At recent meetings residents have left officers of the council in no doubt that the name “Library” must remain. We know Council’s are having to make cutbacks but Cardiff Councillors should hang their heads in shame if they go ahead with these ludicrous plans. We, as a nation, are diminished by their actions. Shame on them. I totally agree it is a shameful abuse of power by a Labour run administration in Wales to even suggest these closures as the buildings themselves were endowments to the citizens of Cardiff. What are these philistines like? These so-called , politcians who have already destroyed our Health Service in Wales and now are setting about dismembering our Libraries yet continue to line their own pockets. Moreover they recently have re -furbished the Council Chamber to the tune of £300 grand – courtesy of the Welsh Taxpayer ! Your article is brilliant.For years local government has sacrificed Cardiff’s heritage in my opinion so I’m not surprised that they seem to think it ok to dispense with the libraries,but it has to be stopped. Well said, Andrew. From across the border I had not realised that things were so dire in Cardiff – but I fear that the situation in much of England is not so different. Birmingham may have committed to a fine new library building, but it is currently “out to consultation” on sacking half its staff. I suppose it’s naive to wonder if refurbishing the fine brutalist building it’s now demolishing might have left enough money to run a comprehensive service. Hello. I came here from the Cardiff Shakespeare blog thinking, “Well, so this is happening elsewhere.” In my county of residence here in Georgia, USA, the hours of operation for our libraries were reduced by 30% even as a huge building and renovation plan was engaged. I noticed a significant change in personnel, as well. Given that the libraries were open fewer than 40 hours per week it likely meant that full time employees, those entitled to benefits like healthcare, were reduced to cut costs. Yes, I use the internet, but I am also a frequent library patron. I don’t think I’m exaggerating when I say I could not imagine life without a library. The library means so much to me, in fact, that in car-centric America, one of the reasons we bought our home is because it is a short walk from the local library. I have also travelled to several other branches to locate material. All this to say that, across the pond, I’m with you. I wish you the best in your campaign and I’ll follow its progress. I think it is an absolute tragedy to deny people access to free books and internet access when these are so essential for all in society. OK so the ‘middle classes’ can afford to buy books and have tablets and smart phones etc but what about those that are unemployed, low paid, or children whose parents can’t afford to buy them book after book each week? The public library is an absolute godsend at certain times of your life – when looking for a job, when you are elderly and you go there for reading materials in larger print or audio etc and for social interaction, the public library provides for so many different groups in society. It is bad enough to hear of what has been happening in England with library services, it is now coming over the border. There are many things that should be cut back before this essential service. Once we let it go, we’ll never get it back so we should do all we can to fight these plans now. A community that doesn’t take care of its libraries disenfanchises people and impoverishes our public life. Let me know where the barricades are so I can join you on them. You seem to think that the council is ideologically opposed to libraries. Skirting over the cuts being imposed on local authorities (something commenters are also guilty of) isn’t good form. Councils have statutory obligations; as good as it would be to have a comprehensive library system in the city, it isn’t sustainable when councillors and officers need to preserve preventative and intensive social serviceso etc. If you read my piece again, you’ll see I’m careful to say that I understand the pressures councillors are under to make cuts, imposed by an austerity-led Westminster government. I don’t claim that they are ideologically opposed to libraries, but I do suggest that some of them may be unaware of the dire effects closures on this scale have on the life chances of the people they serve – in particular people who lack resources themselves and therefore are more reliant on public provision – I include children in that group. Again, if you read the piece carefully, you’ll find that a comprehensive and efficient library service is a statutory obligation on all local authorities – it isn’t something they have discretion on. Your reference to top-down austerity and the resultant public service transformation is followed by an assertion that Cardiff Council’s actions are “impossible to defend under either justification”. The implication here is that neither austerity or the inevitable changes to services required can serve as justification for cutting what you rightly point to as a significant public service (albeit one that seems more significant in figurative than literal terms given the number of service users, alternative provisions and scope to run the service differently). I am well aware that libraries are a statutory service. To be frank, they have to get in line behind the other statutory services being cut. A recent report by the Public Accounts Committee* has warned that councils could be in danger of breaking the law because funding cuts are putting crucial services at risk. Cardiff Council might be lucky to do so on the basis of its libraries provision (which it probably won’t, as they are surely to be diligent enough to stay within the boundaries (or vagaries) of statutory guidance). Other Councils will be less fortunate, and vital safeguarding services will be lost. The Council should be mindful of the low literacy rates prevalent in Wales and the impact the proposed closures of our Libraries will have on Education generally to say nothing of the huge impact on disadvantaged communities. Wise words, Andrew. If our heartfelt reasoning fails to bring our “leaders” to their senses, I suggest that all the redundant books from the redundant libraries be made into a bonfire inside Their Think Tank down in The Bay in an attempt to thaw their cold hearts. as a user of the local library which is threatened (Rhydypennau Library) I am very worried that we may lose this facility. But I am also worried about the threats to our Ranger Services in Cardiff. For unfortunately if the libraries are saved, cuts may fall even more elsewhere. We have wonderful green spaces in Cardiff, which are well known across the world, but they may deteriorate to the extent that they will no longer be safe to walk in. So Cardiff Council, please look hard at the plans for the libraries and the Parks and green spaces and do your best to find the savings elsewhere. A really good article. Unfortunately this sort of mess is happening right across local public services throught Britain – with little matter which political party runs the local council. The cuts are centrally imposed from Westminster and Councils must be within the budget they are given. And further big cuts are planned for the next 3 yrs, not just 2015. Total gov cuts may be 1% each year, but since the big budgets are protected (health etc) it means up to 60% cuts to local council run services to compensate. The clever bit is that it is the local Councils that get the blame. One newspaper recently cried out for a country wide referendum on such drastic measures to reduce the UK deficit within only a few years – it is too late to halt this years irrecovible losses to local services, but there is a referendum – this May! I’m looking forward to having the Cardiff’s new Central library full on Saturday 7th February. I run the only Family History session, for the Cardiff Library service, on that 4th floor on the first Saturday of each month. What has saddened me is that last year the Council in a bid to save £150K pa they closed the Local Studies Library and Welsh Collection, with the intention to move it to the Library Stacks off Newport Road. It was vehemently opposed by many members of the Public, and Heritage Societies to the extent that the LSL & Welsh Collection are still unavailable for direct access, even though the roof has been repaired. However Cardiff Council, still want to close libraries while it’s “Prestigous projects” are given the go ahead. Does the city really need a new Conference centre, based on the St David’s House site, this was Russell Goodway’s preferred prestigous project for the Central Square redevelopment in fact the Council spent £75m on securing the leases for the entire site. When there are Conference centres, ie MotorSport Arena, within the Central area of Cardiff. The NATO Summit met in City Hall and other buildings is an example. What we need is a Local referendum on the subject of the Cardiff Library service, not the poor excuse of the Public Consultation. This is a total injustice where I suppose educated councillors take no notice of the readers of libraries,I believe thy should not make financial cuts on our LIBRARIES, but perhaps a method of financial input not necessarily from the councills or the public, these Welsh Assembly Members secured their votes in a very Democratic country so did the councillors find their very responsible positions via the ballot box. Perhaps HSBC’s Swiss arm could advise Cardiff Council on where to invest its money? “Prestigious” my foot Cardiff Council: it’s despicable ! !